You don't change a winning team, but you can always improve it! Dirt 2.0 is even more streamlined, combining superb ergonomics and an assertive look for new heights of performance. A slimmer frame and curved lenses free up the field of vision. Ultra-stable, it stays firmly in place even on the trickiest terrain. Nose Grip: Flexible, shock-absorbing grip insert on the bridge. Wraparound curved temples: Profile guaranteeing the best grip on the face when making sudden and repeated movements. 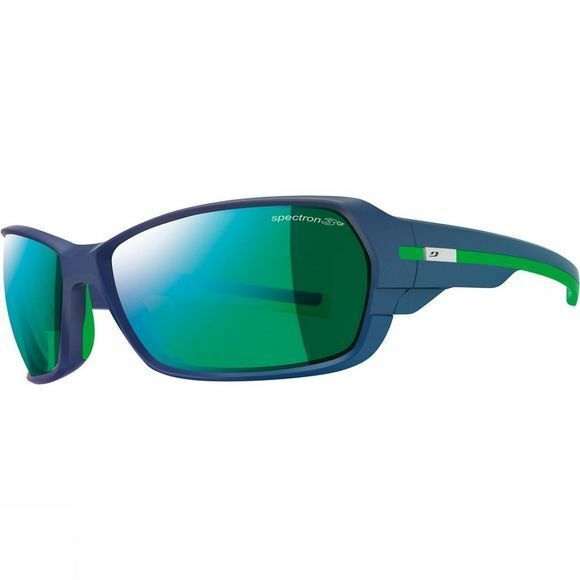 Wraparound style: Sun protection provided by a curved front and wide temples.